Starting is the biggest step to achieve any dream. It’s 100% sure for the people who would like to step into the data science space. If you were the data science beginner, who would like to learn the data science technologies to taste the real joy of working on data science projects. Then the very first question comes into your mind as a data science beginner is Where to Start. The question where to start having tons of acceptable answers but the key is selecting the right ones. If you are a reading guy like me, you can choose the popular data science blogs or books for the perfect start. 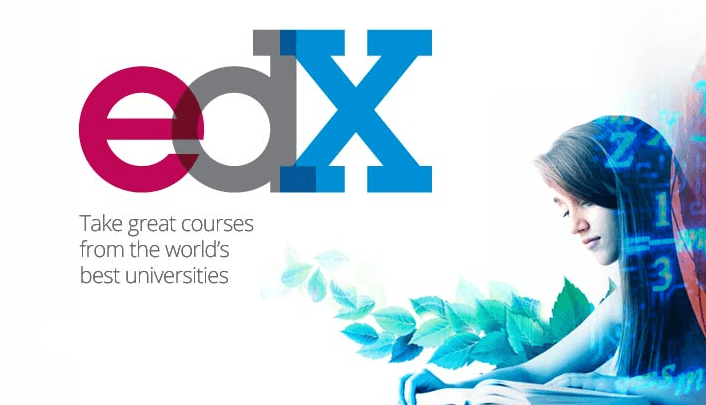 The another way to the perfect start is taking MOOC courses from the sites like Coursera, Edx, Udacity, Udemy. Which were offering hundreds of courses on data science technologies. These courses are ranging from beginners to advanced level. In this article, I am going to present you the popular data science specialization available in Coursera. I took few of them already. If you would like to see the courses I completed, please have a look at my LinkedIn Profile. Before we begin Let me explain why these course specialization so popular. The ideal way to learn any new technology is to get the basics in the first phase. In the next phase use the basics to understand the advanced technologies or the new insights in these technologies. In the last stage, use all the knowledge you gained effectively to solve real world challenges. The Coursera Data Science Specialization courses are also designed same like the above phases. The introductory courses teach the fundamental topics. Next, the advanced topics and finally the specialization ends with a challenging project that you need to complete. To give you quick nap about what I am going to explain in this post is the below specialization and the order of courses in those specializations. Let’s check out in detail about all these specializations. In this Big data Specialization, you will develop a robust set of skills that will allow you to process, analyze, and extract meaningful information from large amounts of complex data. You will learn the above open source tools basic usage and learn the graph analytics to model problems and perform scalable analytical tasks. At the end of the specialization, you need to complete a capstone project with the knowledge you gained. Now let’s walk through each course in this specialization. Introduction to Big data is the first course in this big data specialization. In this course, you are going to learn the wide range of big data applications. The way big data tools are going to apply for the wide range big data related problems. By the end of this course, you are going to set up the tools on your local system and will play with simple examples. In the second course of Big data Specialization, you are going to learn how to configure the Apache Hadoop Full stack and related tools. Following that you are going to write your first MapReduce program. You will learn the basic concepts in distributed and parallel processing in Hadoop application framework. Will determine the significance of using the Hadoop framework in the parallel process the task and using the proper MapReduce programs. In the third course of Big data Specialization, you were going to configure the HBase, Pig and Hive tool on top of Hadoop framework. You will learn the basic usage of the tools HBase, Pig, and Hive. As a practice, you were going to take the real Twitter data set and perform the cleaning techniques to create some summary charts and applying different Data Analytics over the Twitter data set. In the Machine Learning with Big Data course, your will learn how to use the different open source tools to perform the parallel and distributed techniques. Following, you will learn how to apply machine learning algorithms on top these. You will learn how to train, evaluate and validate the machine learning models build on using the big data tool. Will get the basics of Spark and Knime. In the last course of Big data Specialization, you will learn how to perform the graph analytics using the big data tools. This course will give you the overview of graph analytics. Followed by, you will learn how to store, retrieve and analyze graph structure data. By the end of this course, you will be able to model different of graph model and performing graph analytics in a scalable manner. In the machine learning specialization, you will be learning the machine learning algorithms like regression techniques, classification methods, and clustering techniques. In each course, you were going to learn these particular algorithms from basics to advance, and you will be going to implement these algorithm to solve the real world problems in small scale. This first course introduces the application of machine learning algorithms. This course is more like motivation to learning the machine learning techniques. You will learn to dig deeper to understand the core insights in the data. As a practice, you will be going to predict the house precise based on house-level features. You will analyze the sentiment from user reviews. By the end of this course, you will learn the fundamental difference between the regression, classification and clustering techniques. In this the regression course you will get the chance to learn in details about the regression techniques. You will learn the concepts of bias and variance. Estimate the model parameters using the optimization algorithms. By the end of this course, you will train your own regression model to predict the house prices using the home related features like square footage, the number of bedrooms and the number of bathroom kind of features. In the classification course, you will learn about real world classification applications. Will learn the fundamental difference between the binary and multinomial classification techniques. You will be introduced to the concepts like logistic regression, support vector machine algorithms. You will create a classification model to predict the sentiment of the review like the positive or negative sentiment. In Python, you will be going to implement this classification model. In the last course of machine learning specialization, you are going to learn the unsupervised classification algorithms like clustering. You will learn about the K-nearest neighbor algorithms. In the process, you will learn how to use the k-nearest neighbors for both classification and regression algorithms. You will learn how to implement the clustering algorithm to cluster the similar kind of documents using the different similarity measures. In this Data Science Specialization, you will gain hands-on experience with scalable SQL and NoSQL data management solutions, data mining algorithms, and useful statistical and machine learning concepts. You will also learn to visualize data and communicate results, and you’ll explore legal and ethical issues that arise in working with big data. As a final project, you will be going to develop digital internship platform Coursolve, and you’ll apply your new skills to a real-world data science project. In the first course of data science specialization, you are going to learn how to extract useful knowledge from large, heterogeneous and noisy datasets. You will learn how to use different programming abstraction to use them effectively. Will learn the techniques of Cloud computing, SQL and NoSQL databases, MapReduce and the ecosystems. By the end of the course, you will be in a position to write the MapReduces programs efficiently and the landscape of specializes Big Data systems for graphs, arrays, and streams. In the practical predictive analytics course, you were going to learn different statistical experimental and analyzing the results using the modern analytical methods. You will also explore the common interpreting statistical arguments, mainly with those associated with big data. By the end of this course, you will learn the resampling methods to make clear and bullet-proof statistical arguments without invoking esoteric notions. You will apply different sets of unsupervised learning concepts and methods. In the communicating results course, you are going to how to perform the visualization. The idea of this course is to explain how to interpret the numbers and communicate the findings accurately to stakeholders to inform business decisions. In the following section of this course, you are going to learn how to avoid the poor visualization and explore the ethical consideration around big data and how to consider these in practice. In the data analytics specialization, you are going to learn the basic data science tools and techniques. These including data visualization, regression techniques, and machine learning concepts. In the first course of data analytics specialization, you will learn how to get the meaningful insights from the data you have. You will learn how to manage, describe, summarize and visualize the data in a better way. By the end of this course, you will be able to use the data codebook to describe the dataset and identify the right question from the data, etc. In the data analysis tool course, you are going to learn how to perform the hypothesis testing using the analytical tools. Identifying the right statistical test for the question from the data. You will be learning the fundamental statistical tool like variance, chi-square test and find the person correlation. In the regression modeling practice course, you are going to learn multiple linear regression and logistic regression models. In the course, you will be learning the additional Python libraries for regression modeling. You will learn the underlying regression analysis concepts like the regression coefficients. In the final course of data analytics specialization, you are going to learn how to apply different machine learning techniques to solve the real world problems. This course will give you the overview of many additional concepts, techniques, and algorithms in machine learning from basics classification algorithms like logistic regression algorithm to decision tree. You will also learn how to validate the machine learning models you implemented in the course.